English: Day 3 of the 2010 Summer Youth Olympics Torch Relay in the northeast district of Singapore. 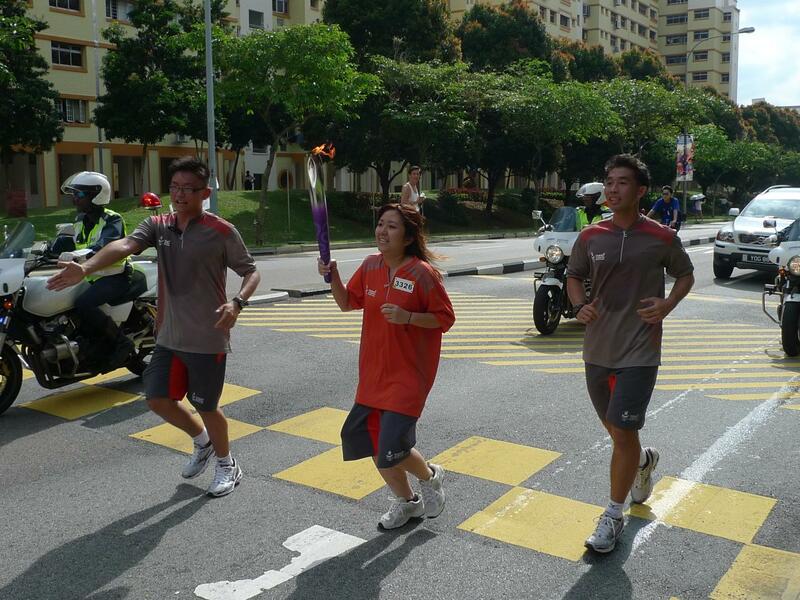 Source Singapore Youth Olympic Games Torch Relay. Author Walter Lim from Singapore. This image, originally posted to Flickr, was reviewed on 11 August 2010 by the administrator or reviewer Jacklee, who confirmed that it was available on Flickr under the stated license on that date.